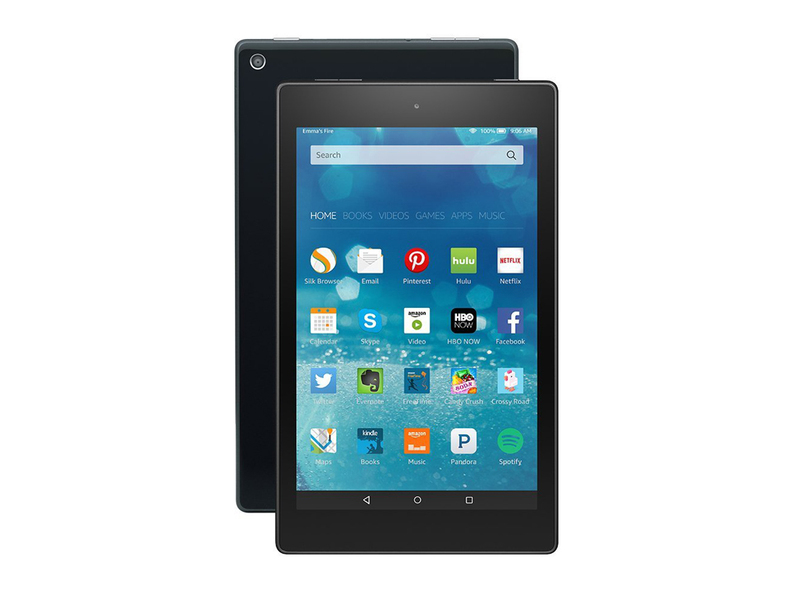 Model: The Amazon Fire HD 8 is an entry-level tablet that is both budget and family-friendly. 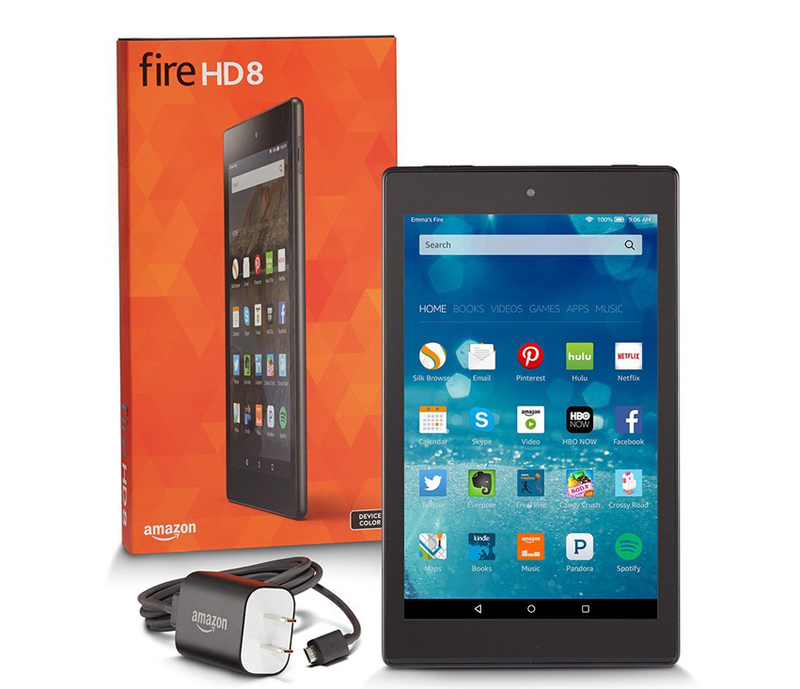 Ideal for media consumption such as movies, videos, music and e-books, this tablet provides sufficiently bright visuals with its 1280 x 800 display and a loud Dolby Atmos sound system. Still, its low-resolution display might not appeal to the elaborate users as it may appear grainy for certain videos. It is designed to mainly work on landscape mode, as issues of mixing up the volume buttons or the tangling of earbuds and charging cables may arise in portrait mode. Besides, its casing is made of glossy plastic, which is not fingerprint and smudge-proof in addition to feeling cheap as compared to a metal finish. 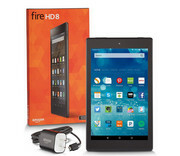 However, if one does not mind the feel of the tablet and is a member of Amazon Prime, this tablet has much to offer. Amazon Prime members have the access to stream or download movies and TV shows from its Prime library as well as certain games which are made exclusively free for the members. Additionally, its storage is microSD expandable up to 128 GB, which would be a delight for heavy media downloads. 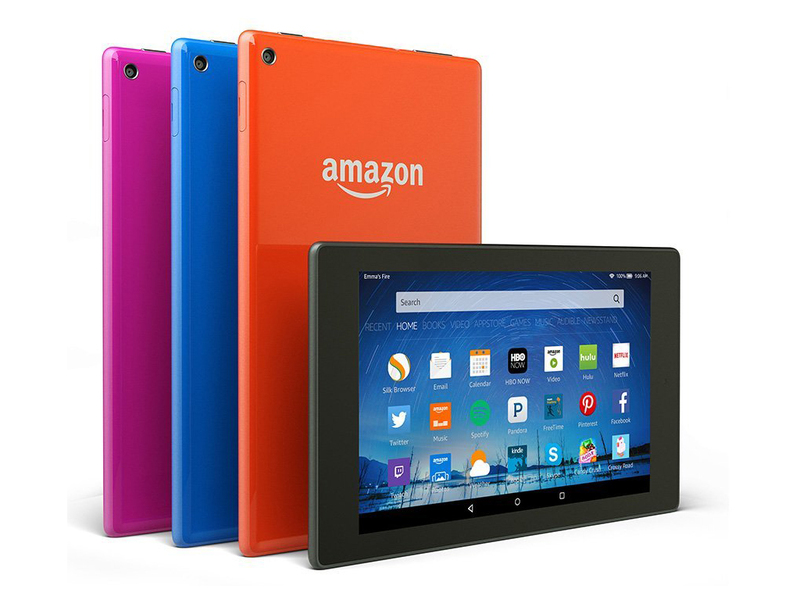 This tablet runs on the latest Fire OS 5, which is similar to Android OS but it is more customized towards Amazon users. Among the customizations are Mayday Screen Sharing and FreeTime, which allows face-to-face video chats with an Amazon representative for customer service and also parental control on which channels, shows or apps to be made available to the user's children. Imagination PowerVR G6200: Multi core (2 cluster) graphics card for ARM processors that supports OpenGL 4.x and ES 3.0 Only some 3D games with very low demands are playable with these cards. » Further information can be found in our Comparison of Mobile Graphics Cards and the corresponding Benchmark List.